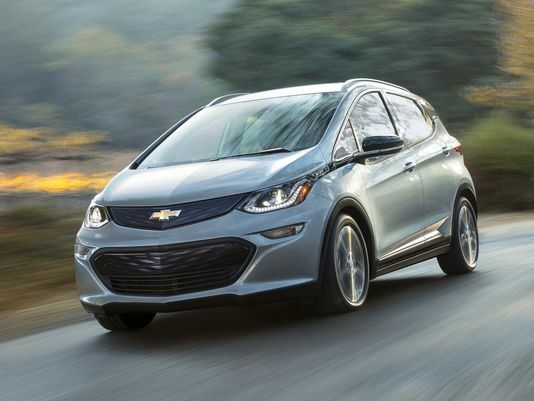 GM’s North American President Alan Batey has confirmed that the Chevrolet Bolt electric vehicle will begin shipping to dealers in the fourth quarter of this year. GM and Chevrolet have not yet released the vehicle’s expected range or price, so we still only know that it will have “more than 200 miles” range, and will be somewhere around $37,500 before incentives. GM is planning to sell the Bolt EV in all 50 States and in Canada, with other countries to follow in 2017. Some analysts predict sales of the Bolt could reach 30,000 in 2017. Batey also mentioned that since the Bolt will be out before the Tesla Model 3, that will give them opportunity for 18 months of real world experience over the competitor’s vehicle. This entry was posted in Availability, Information on August 2, 2016 by Admin. Thanks for sharing! Was this a deposit with a delivery date, or just a ‘put money down and you can be first in line when it gets here’ sort of thing? I think it’s great, and the Bolt will be better than my LEAF, but I still couldn’t use it to drive from Niagara to Montreal, as I intend to do with my TESLA model 3. Nissan has really fallen asleep after such a great EV start. As a first-time EVer, this Bolt will fulfill most needs. So, the Bolt will be a very limited production, designed to fail model. They (GM) will then report that due to disappointing sales (not enough electric cars produced to satisfy demand), the Bolt will be marketed as an “alternative” to our best selling ICE cars… And on and on it goes. I hope that I am wrong, but the “future” is here, not 10-20 years down the road. Get with it GM. People are ready for “real-world” electric vehicles – now!